Ergnomically designed, the curve body fits the hand shape of holding. 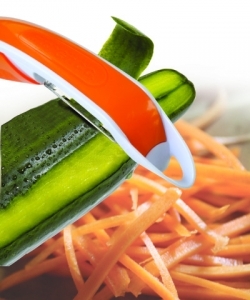 With the sliding door, the double peeler gives you the slide control of efficient peeling and julienning with ease. Kitchen c.c. 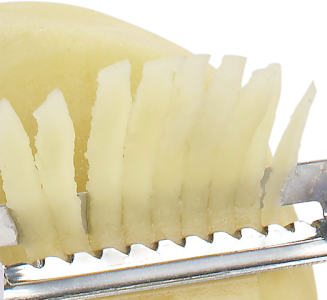 Slideguard™ Double Peeler skins and juliennes fruit and vegetables without interchange of blades. There’s also a built-in eye remover to remove potato eyes easily. It is perfect for everyone. 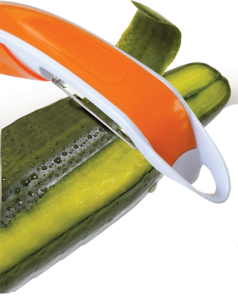 The Slideguard™ Double Peeler is dishwasher safe.